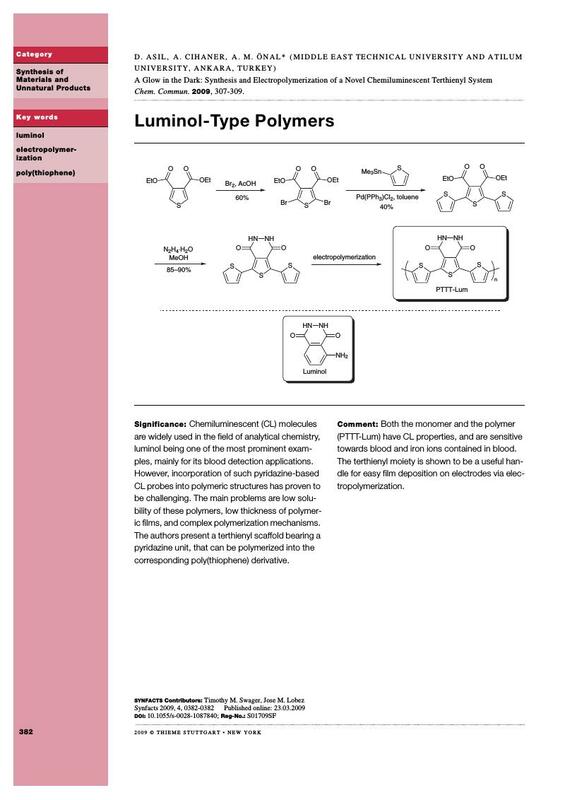 Chemiluminescent (CL) molecules are widely used in the field of analytical chemistry, luminol being one of the most prominent examples, mainly for its blood detection applications. However, incorporation of such pyridazine-based CL probes into polymeric structures has proven to be challenging. The main problems are low solubility of these polymers, low thickness of polymeric films, and complex polymerization mechanisms. The authors present a terthienyl scaffold bearing a pyridazine unit, that can be polymerized into the corresponding poly(thiophene) derivative.